The current financial hardships Belize is experiencing has caused the country’s economy to plunge. From damages inflicted by Hurricane Earl, to members of the Belize National Teacher’s Union (BNTU) demanding their 3% salary increase, and even the recent settlement made by the Government of Belize (GOB) with the Belize Telemedia Limited (BTL) arbitration, the country’s economy is facing many challenges. 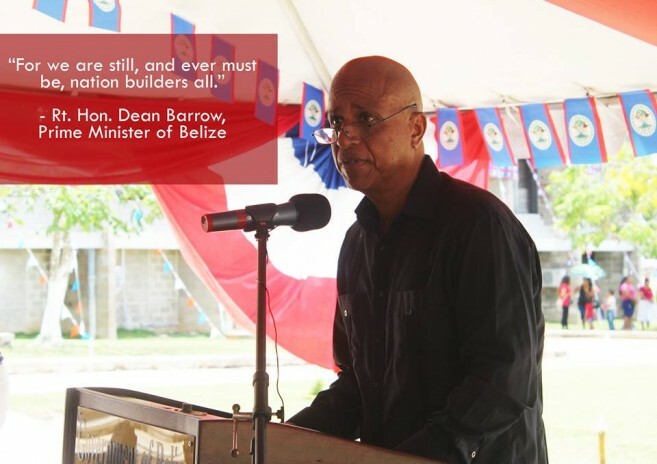 During his Independence Day address, Prime Minister Right Honorable Dean Barrow announced that the country is experiencing a recession. “And the economic backdrop to it all is, at this time, a complicating factor since we are experiencing a recession caused by the vagaries of the commodities cycle: agricultural sector disease, the drying up of our petroleum resources, and the crash in global prices. It is, of course, a recession made worse by Hurricane Earl. 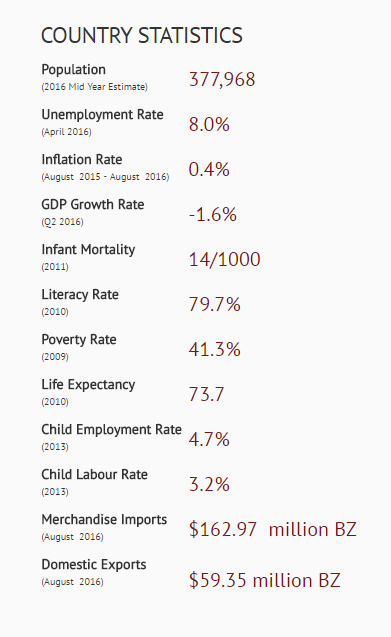 But it is also a recession from which, I must say at once, we will absolutely recover,” said PM Barrow. According to PM Barrow, the recession is due to a decline in the petroleum exports and reductions in the primary commodity sectors, which caused an overall decrease in Gross Domestic Product (GDP) for two successive quarters. Apart from the decreased GDP, shared reports from the Statistical Institute of Belize (SIB) have tracked earnings from the country’s primary commodities and exports. “Growth was at a negative 1.5% for the first half of 2016, falling from 1% in 2015. 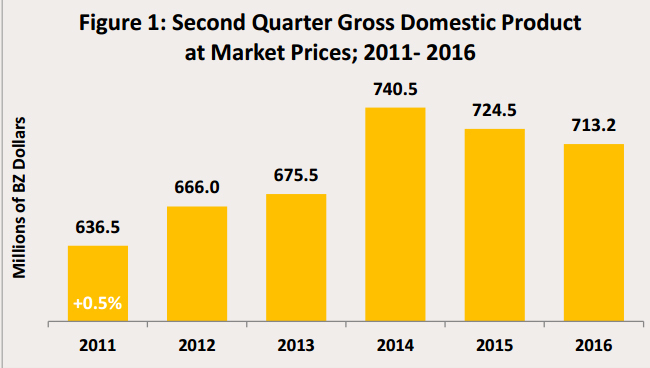 The shocks in the export sector have widened the current account deficit to 9.8% of GDP in 2015. Further decline in exports in the first half of 2016, combined with settling liabilities related to the two nationalized companies, reduced international reserves to 4.4 months of imports in late August 2016. 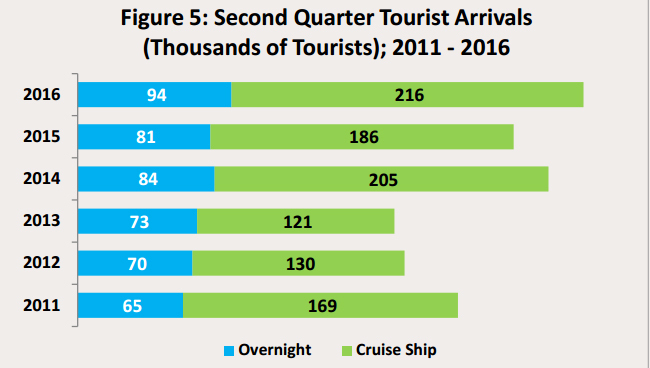 Hurricane Earl, which hit Belize in early August, compounded the challenging economic environment,” said Barrow. Even the International Monetary Fund (IMF) results of its Article IV consultation on September 26th indicate that the country’s economy is in bad shape, and debt has increased. “Government’s fiscal position—the gap between what it earns and what it spends—has weakened, pushing the public debt higher. The Government’s debt to GDP ratio has grown from 77.6% to 82.1% in 2015, and the country’s debt to GDP ratio is forecast to hit 99.9% in 2017,” the IMF explained in the report. The IMF is now urging the government to implement measures such as increasing the General Sales Tax (GST), reducing the public wage bill, and reforming the pension plan for civil servants to prevent further crisis. The IMF stated said that the economy was already taking a hit, but Hurricane Earl made the situation worse. IMF also stated that payments which the Government has had to make in consequence of the nationalization of BTL and Belize Electricity Limited has strained Belize’s finances. “The overall fiscal deficit expanded to 8% of GDP in 2015, and attributed the sharp deterioration to a one-off payment related to the settlement of liabilities for the nationalization of Belize Telemedia Limited, which was valued at around 2.8% of GDP,” said IMF. Now that the country has lost significant correspondent banking relationships (CBRs), and foreign reserves are shrinking, the possibility of the dollar being devalued comes into question. For 30 years, Belize has maintained a fixed exchange rate of BZ$2 to US$1. The IMF report states that the loss in CBRs has led to a significant increase in transaction costs and a winding down of deposits in international banks. On Friday, September 30th, newly appointed Minister of State for Finance at the Caribbean Development Bank, Dr. Carla Barnett, discussed the current state of the economy. “Our dollar continues strong and securely underpinned, though our correspondent banking woes are still a problem. Three out of the four local commercial banks now enjoy full correspondent relationships with US or UK banks. But the fourth is still searching and until it succeeds, its inability to route external flows for its customers does create a foreign exchange choke point. But our Central Bank is working to solve that problem,” said Dr. Barnett. Dr. Barnet states that the GOB is not on board with the recommendations of IMF, and said that Barrow’s administration has “consistently refused to follow the prescriptions of the IMF”. She did assert that the GOB has the ability and competency to correct the economy’s current course, which would include a “halftime report” on the state of the budget. She reiterated that the Government’s efforts are presently aimed at increasing the level of outstanding taxes it collects and closing loopholes in the system before it resorts to raising them. Dr. Barnett, along with assurance from the Prime Minister and Minister of Finance, also stated that the current economic condition will not extend into next year. Several major industries that were impacted by Hurricane Earl will have time to recover from the one-two punch of internal problems. Barrow boldly insisted that recovery is around the corner, and will be led by the major industries such as sugar, citrus, banana and marine products. He is optimistic that Belize’s economy will rebound by the 2017 fiscal year.